In the September 2018 edition of Fire Protection Contractor magazine, Christopher Kvistad, Victaulic Product Manager, spoke about the top five traits that characterize modern campus fire safety regulations: advanced design, quick installation, reliability, hassle-free maintenance and adaptability. With aesthetics now as important as functionality, universities are striving to be both innovative and inviting. Campus fire safety regulations are at the heart of these increasing renovations. 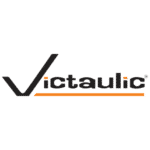 Universities rely on quick and adaptable installation which can be realized through Victaulic’s flexible solutions and grooved connections. “Universities want beautiful buildings that can be erected or remodeled without compromising campus fire safety [regulations],” said Kvistad, “By using innovative systems with superior, reliable components, it is possible to install [campus] fire safety systems that meet architectural design requirements without negatively impacting safety.” For fire protection systems to fit into this paradigm, they need to be adaptable, enabling architectural freedom. To read Chris’s full article on modern campus fire safety design, click here.